About: From her undergraduate days as a student leader at the Florida State University, to Executive Director of Florida Watch Action leading the fight against Rick Scott's anti-middle class agenda with the wildly successful Pink Slip Rick campaign, she's always inspired those around her to fight for a greater purpose. She has spent her life making Florida a better place to live for middle-class families. Her leadership was featured in The American Prospect, Hardball with Chris Matthews, the Ed Show, The Rachel Maddow Show, the Tampa Bay Times and the Miami Herald. Twice named as one of Orlando's 50 most powerful people, Susannah worked as Congressman Grayson's District Director to help keep the Kissimmee Gateway Airport open in the face of sequestration cuts to the FAA budget, and helped secure a $6.5 million grant for the Orange County Firefighters - creating 40 new jobs and keeping fire stations open. Most recently, Susannah was the lead strategist in passing a Wage Theft Ordinance in Osceola County which led to the implementation of the Florida's strongest Wage Recovery program. In 2011 she received the Grassroots Honoree Award from U.S. Action and was inducted in to the Netroots Activist Hall of Fame. In 2012, she was honored with the Glass Ceiling Award by the Business and Professional Women of Florida. 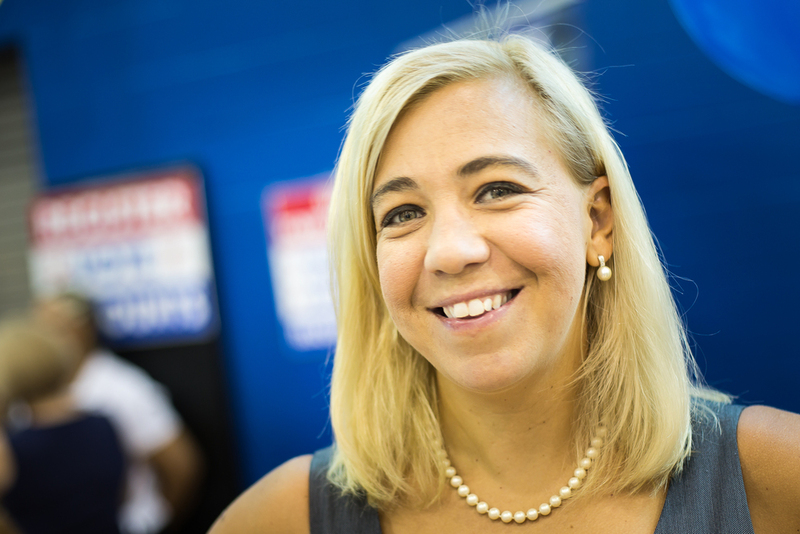 Susannah previously served on the board of Planned Parenthood of of Southwest and Central Florida, served on the Out and Proud Veterans of America Board, is a member of the League of Women Voters, the Democratic Women's Club of Florida, and the Florida Progressive Caucus. She has been married to former Florida State Representative and current Orange County Tax Collector Scott Randolph for 10 years, and is mother to a three and a half year old force of nature, Hillary Eleanor Randolph. Susannah is supporting Voters First because she has dedicated her career and her life to Progressive organizing through voter registration, community activism, and grassroots outreach. Susannah believes that organizing from the ground up and building infrastructure that increases access to voting for all populations is the best way to win. By doing this, she believes that we can set the stage for greater voter empowerment, especially with the new and emerging American electorate. Susannah has built strong ties to the Central Florida community through her work in politics and Progressive organizing over the last decade. She has built a coalition of volunteers, activists, and community leaders dedicated to electing a Progressive, Pro-Choice Mom. She is also dedicated to prioritizing low-dollar fundraising with an average contribution of under $150. Susannah will help increase turnout in this key presidential election by engaging traditionally underrepresented populations and utilizing innovative voter strategies like absentee ballot drives to insure that families that work multiple jobs still have the ability to vote. Will you stand with Susannah? Click the buttons below to check out her website, sign up to volunteer, and donate to her campaign!